← Bullish 02.12.17: Are Chicago Sports Fans Spoiled? On her latest album, the cellist offers a wide range of originals, jazz repertoire and pop tunes. For decades, the cello has been on the fringes of jazz. The outstanding bassists, Oscar Pettiford and Ron Carter, occasionally recorded on the instrument, and cellists like Abdul Wadud,Diedre Murray and Fred Lonberg-Holm have been cornerstones of avant garde recordings and groups. 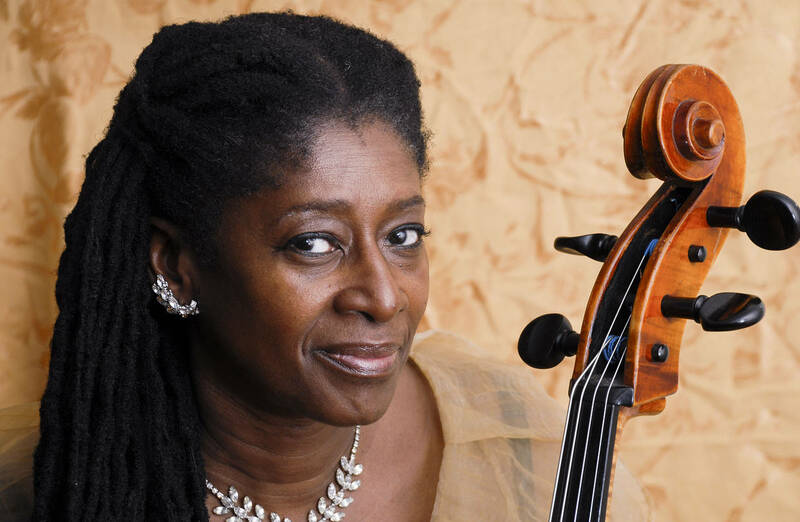 Akua Dixon has forged a solid career playing and arranging string sections and with her own innovative recordings. Her latest, “Akua’s Dance,” out Friday on her own Akua’s Music imprint, features unique ensembles and stunning arrangements on a wide range of originals, jazz repertoire and pop tunes. On several tracks for this recording, Ms. Dixon swaps out her cello for a baritone violin, a similar instrument with a slightly larger body and a deeper, richer tone. On the first track, the briskly paced original “I Dream a Dream,” her sound is reminiscent of the trombone lines heard in the Juan Tizol/Duke Ellington classic “Caravan.” The resemblance may not be coincidental; Ms. Dixon wants her instruments to be heard as natural lead voices in a conventional jazz ensemble. Her band features guitarist Freddie Bryant, bassist Kenny Davis and drummer Victor Lewis, with guest appearances by guitarist Russell Malone and by Mr. Carter, with whom Ms. Dixon performed on the 1972 Archie Shepp recording “The Cry of My People” (Impulse!). Ms. Dixon’s gambits are among the recording’s highlights. “The Sweetest Taboo,” which was a pop hit for Sade in 1985-86, is played straightforwardly by the ensemble here—capturing its slinky vibe until Ms. Dixon’s captivating solo elevates the tune, taking it into new dimensions. Ms. Dixon sings the lead on Abbey Lincoln’s plaintive “Throw It Away,” and her tone broadens the defiant and reassuring words. Her tracks on cello with Mr. Carter on bass are telling. Ms. Dixon’s lines alternate from puckish and crisp to gentle elegance, providing a distinctive contrast to Mr. Carter’s cashmere tones. Ms. Dixon, who is 68, has ruminated about doing recordings like this for decades. She cites playing with James Brown at the Apollo Theater and as a founding member of the Max Roach Double Quartet as helping her realize that the cello could adapt to jazz phrasing and should be a lead voice. She led Quartette Indigo, a string quartet, but found herself in bass-like roles in that ensemble. With this recording, Ms. Dixon joins the ranks of Jane Scarpantoni in rock and Maya Beiser in classical music—performers who have expanded the range of their instrument and made an indelible mark on their genres. “Akua’s Dance” will show younger cellists the possibilities for their instrument in jazz. This entry was posted in Archives, Arts, Jazz, Music, Uncategorized and tagged Akua, cello, jazz, Music, WSJ. Bookmark the permalink.